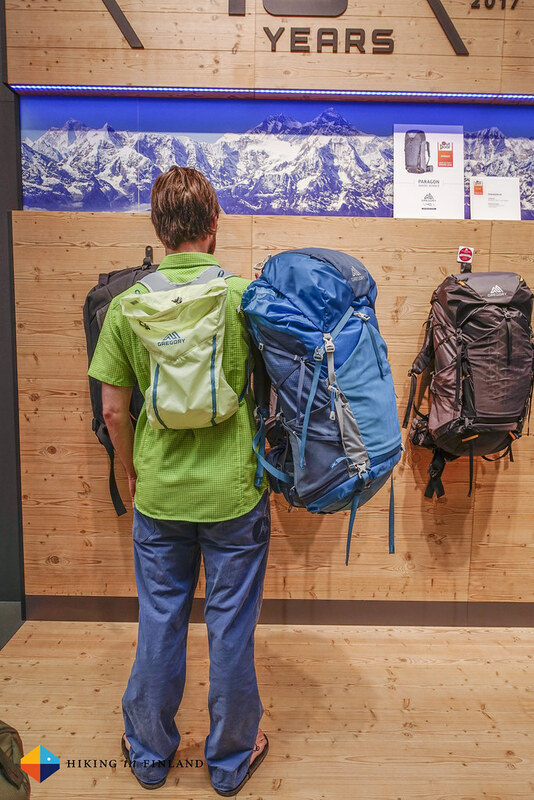 After tents and stoves it is time to take a look at backpacks that are coming for hikers & climbers in 2017! 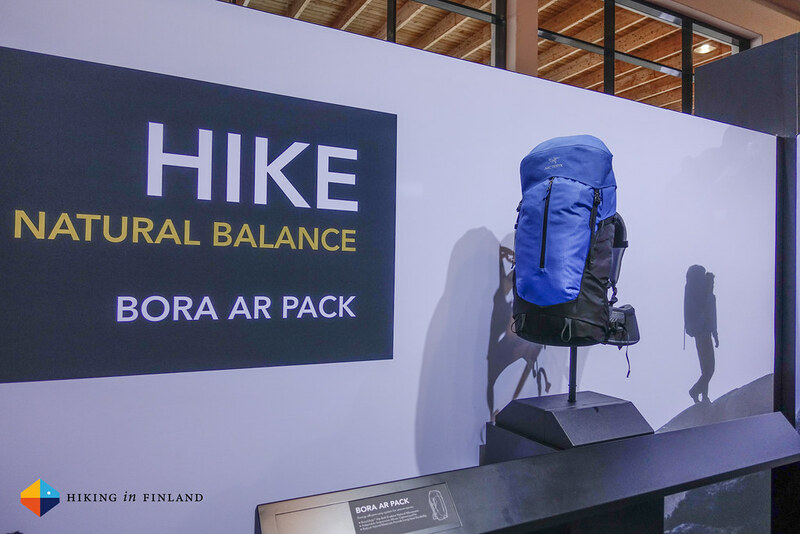 Lets start with the Arc’teryx Bora AR Pack, which will debut in 2017 again - the Bora has been a very popular pack in the past but has been unavailable while it was being re-designed. 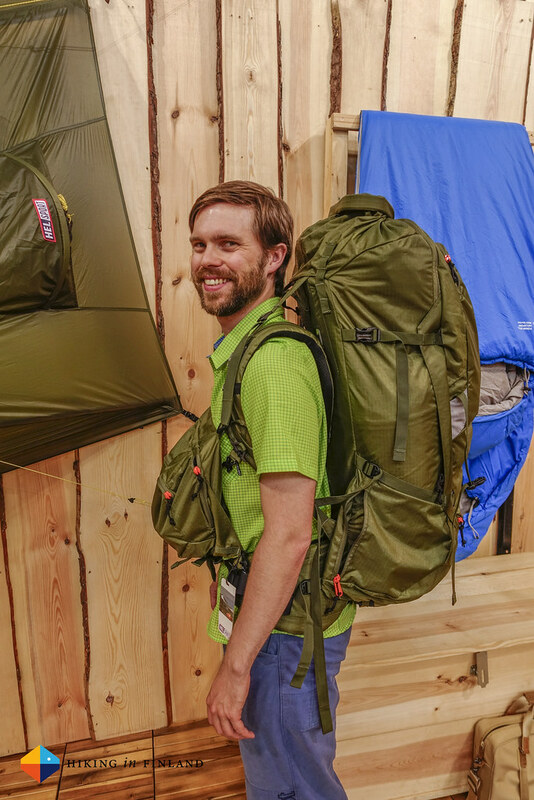 Berrett Willet is the designer of the pack and showed me and Will from TGO the pack and explained the ins-and-outs of it to us. The basic Bora design dates back to 1994 and the moveable hipbelt idea has been just as old, but it was back then not as easily to realize. 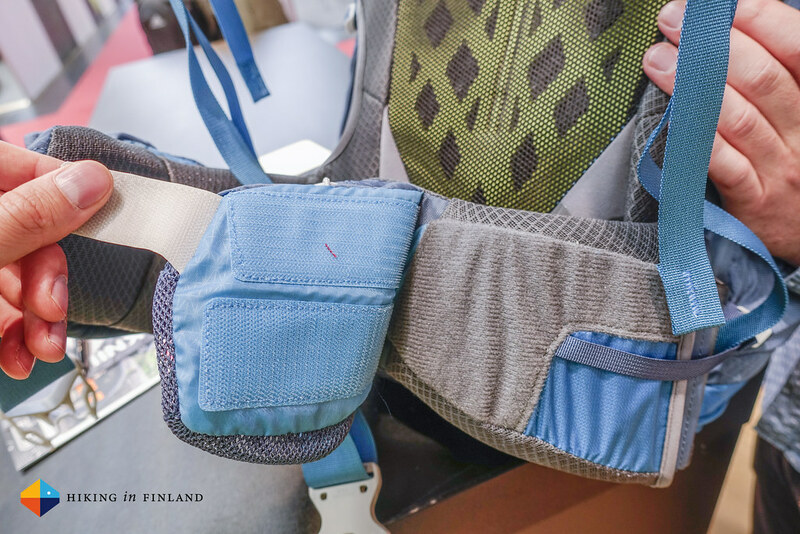 Fast forward 20 years and manufacturing technologies and the possibility to design a reliable, moveable hipbelt are completely possible. The RotoGlide™ hipbelt and Tegris® back panel accommodate the movement of your back when you move up and down in the mountains: It glides up and down along its track to fluidly follow the lengthening & straightening of your back and rotates freely along with the natural movement of your hips. The GridLock™ shoulder strap adjustment system allows the straps to be custom fit for both your height and width. It will come in a Women’s and Men’s version next year in Regular and Tall sizes, and in two volumes: 50 l and 63 l for men and 49 l and 61 l for women. The packs will retail for 470€ and 520€ respectively. 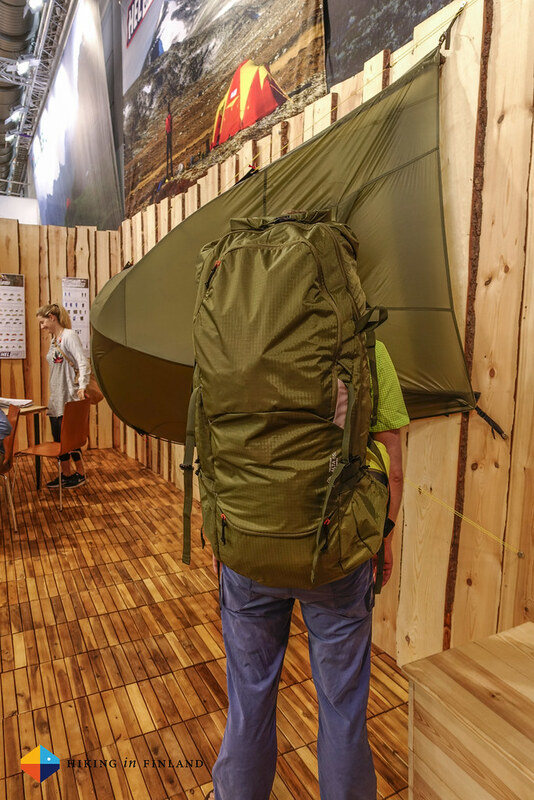 They’re made to haul heavy loads - think about moving to a far away wall you want to climb, carry gear in for a Backcountry skiing weekend, or just very long treks. 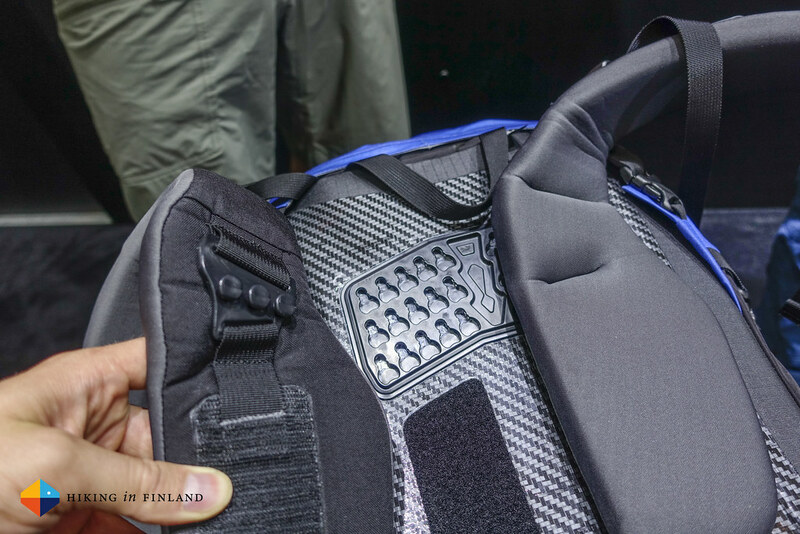 For that they’re made from durable materials, to be precise from the N420r-AC2 waterproof fabric which is also used in the Arc’teryx Carrier Duffle. It has a large zippered pocket on the front, a zippered lid pocket and a side zipper which allows on-the-go access to the main compartment. Trekking poles and ice axes also can be attached. The packs are made in the Philippines and have been designed & tested in Vancouver, B.C. 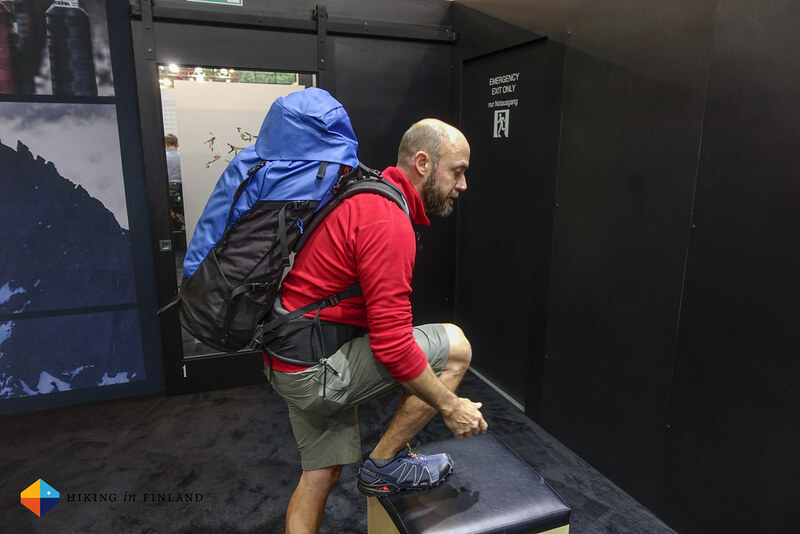 Made for fast & light alpinists Black Diamond comes out with the Blitz pack, which will be available in a 20 and 28 l volume. 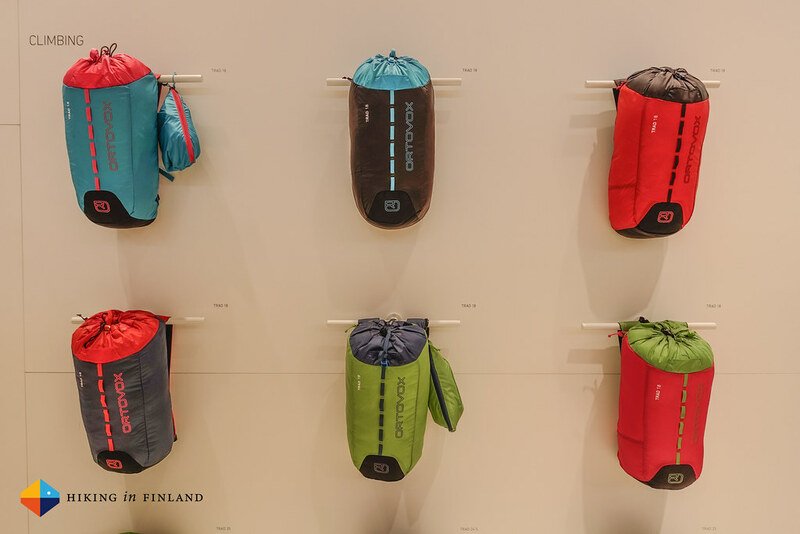 The packs are made from Dyneema which makes them durable enough to be pulled up rough granite walls and dropped down crevasses, as well as daily contact with ice tools and crampons. It has a one-hand top closure which did remind me of the Patagonia Ascensionist lid design. There’s a waterproof zip pocket on that lid for small items, a rope strap carries the rope up and a removable bivy pad lets you shiver out the night up on the mountain. 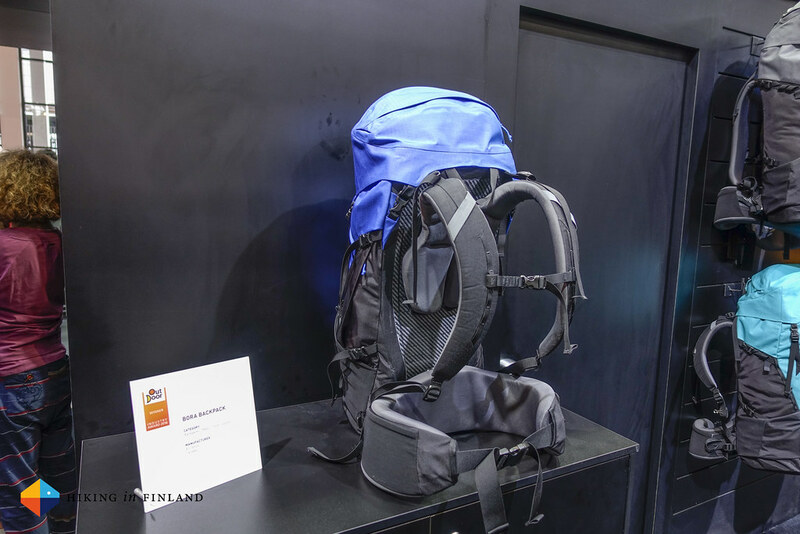 The Blitz 28 will weigh 444 g and the smaller 20 l version is 398 g.
The Ortovox Trad 18 climbing pack weighs 198 g and come sin six visible colours. It’s much lighter than its big brother, the Trad 25 (which weighs 750 g!) but does pack quite some features. 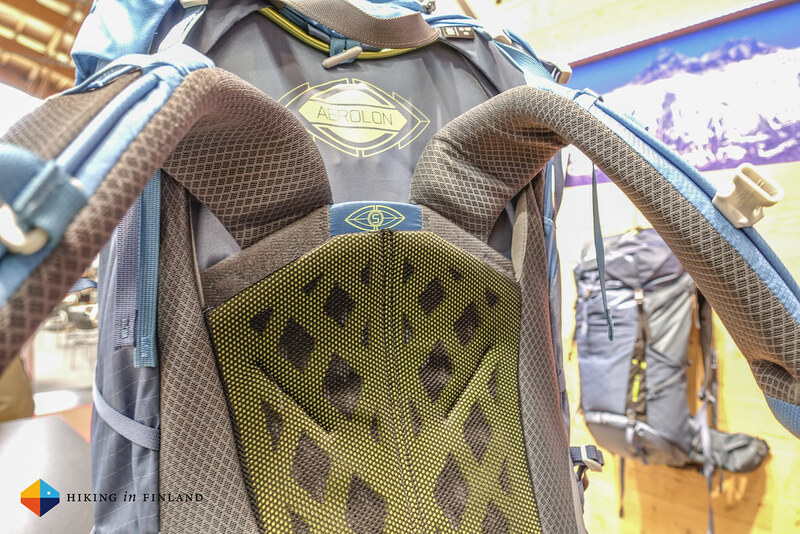 For starters there’s also a Patagonia Ascensionist-ish lid closure, while the pack rides low on your back so it does not interfere with your helmet. 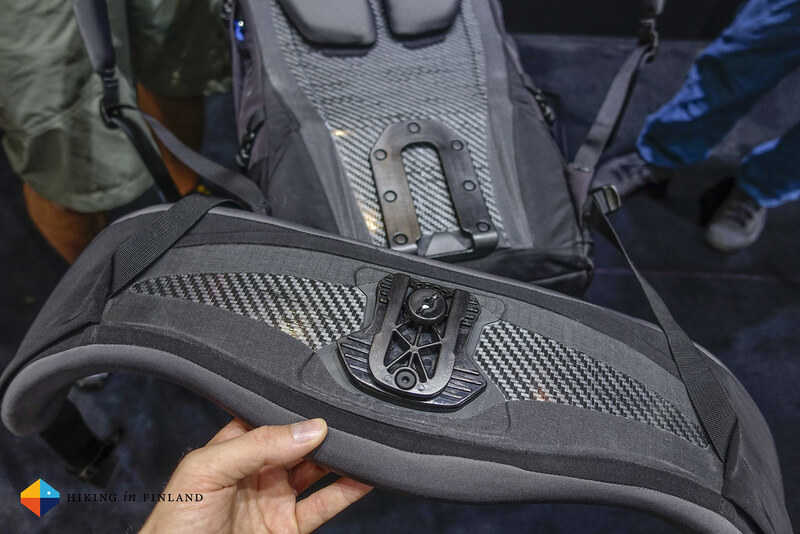 At the front there’s gear loops where you can clip in gear, while on the inside there’s a zippered valuables pocket and also a possibility to carry your hydration system. You can strap a rope to the top, too! I don’t think the Gregory packs are as light as the Trad pack above (or other UL packs), but I have an spot for the brand in my heart as it was the first backpacking pack I ever bought. They still make super-large and heavy packs, but also some lighter packs are nowadays to be found from their line-up. 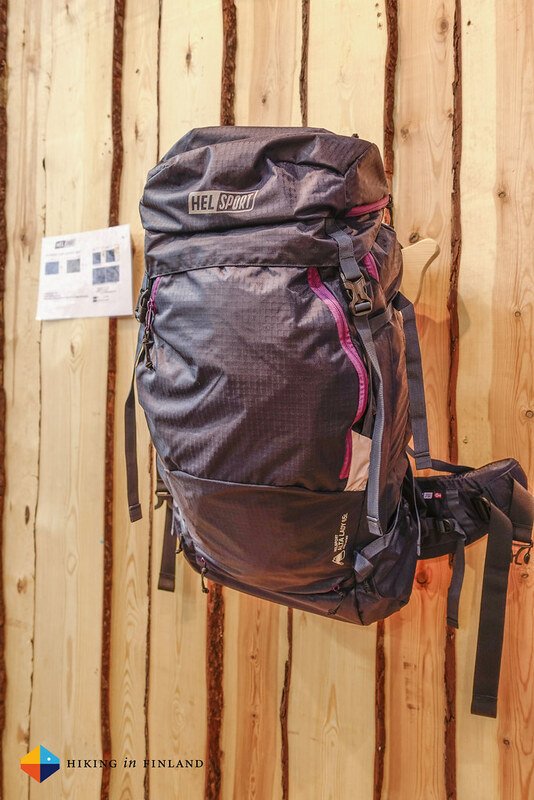 The Paragon is one of these packs, available in four volumes from 38 l to 68 l it weighs between 1,36 kg and 1,64 kg. The Paragon (and the Maven Women’s model) comes in two adjustable back lengths and also the hipbelt is easily adjustable on the go. The new Aerolon suspension system is made from an ultra-lightweight 7001 aluminium tubular frame and is specially designed so that stability is not compromised when the back length is adjusted. The back panel is made from a light and airy matrix foam and covered in a mesh fabric for good ventilation and increased wear comfort. 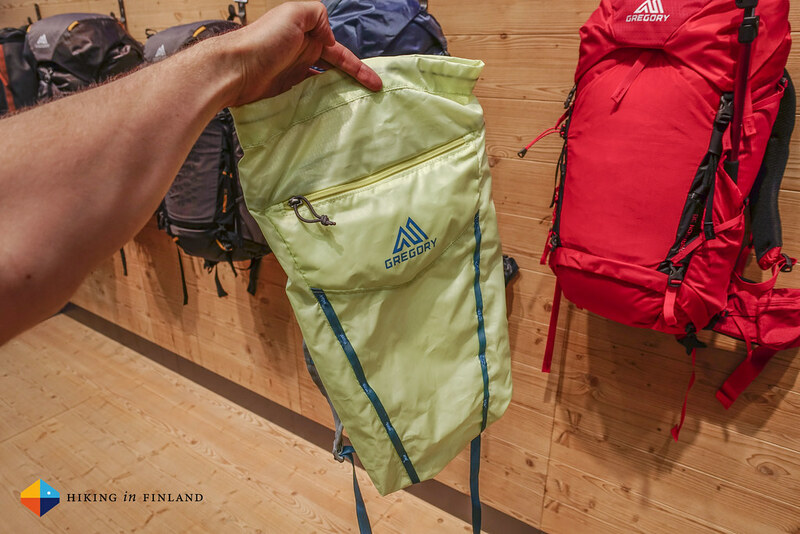 The lid can be removed to save some more weight, and on the inside you find a the small Sidekick pack, which is a combination of hydration reservoir sleeve and ultra-light removable daypack. 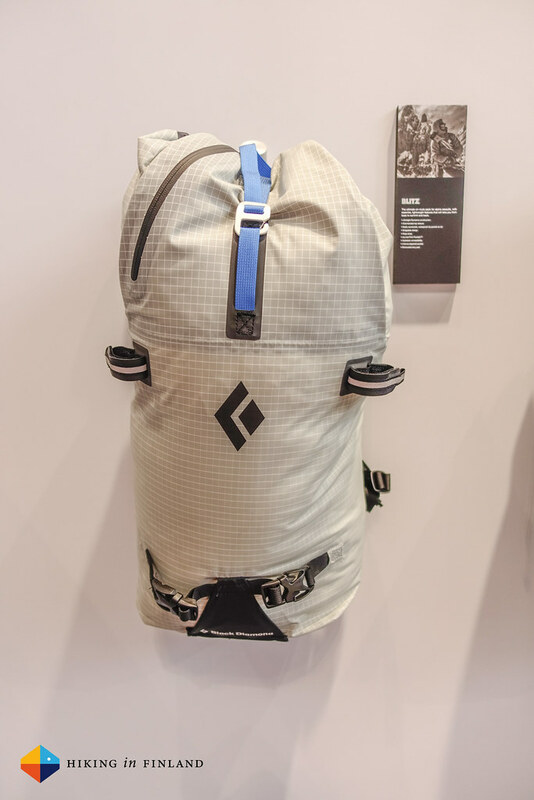 It lets you run to the peak and back with leaving the main pack at camp. 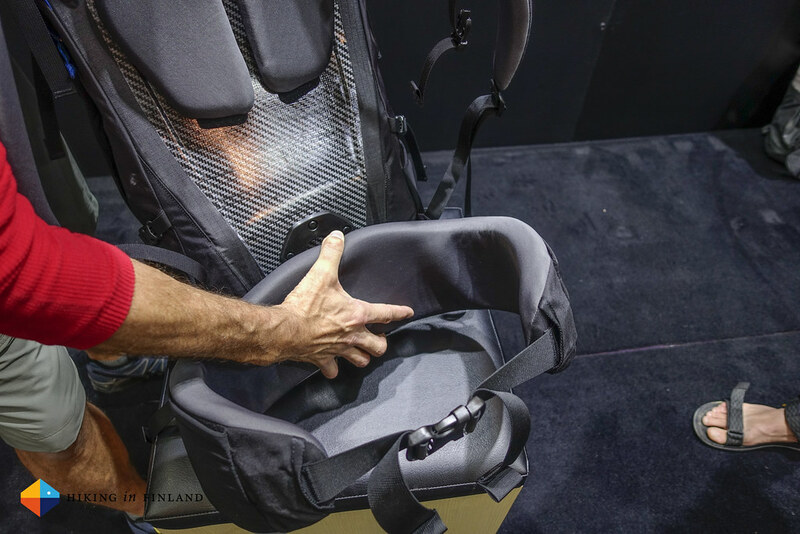 The backpack has all the pockets you’d want, from a front mesh pocket over mesh side pockets and hipbelt pockets to a zippered lid pocket. Disclaimer: I’m a Helsport Ambassador and have cooperated with some of the companies in this article in the past. This does not influence the article as I maintain full editorial control of the content published on this site. Read the Transparency Disclaimer for more information on blogger transparency.